It’s the time of year again! NC Beer Month is in April! Our JoCo brewers are ready to welcome you with cheers and beers! 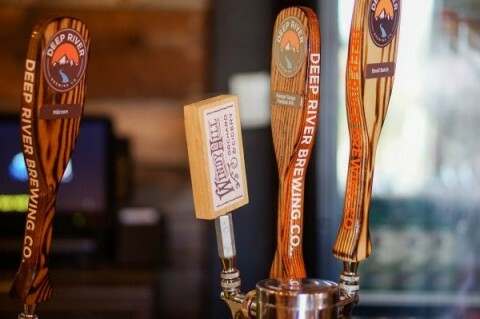 When Deep River’s Paul and Lynn Auclair set out to open Johnston County’s first legal brewery in 2013 they had a vision for an award-winning brewery that would have a beer for every type of craft beer lover and would strive to use locally grown ingredients whenever possible. A short time later, Double Barley Brewing came on the scene making Johnston County an even more enticing place for beer-lovers to visit. Double Barley also uses local ingredients and packs a punch, with a tendency towards dark, strong beers. 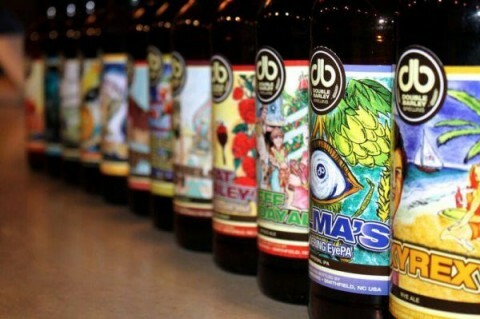 Both brewers have expanded production and distribution since they opened. Johnston-County-made beers also win awards. In 2016 Deep River took home Silver at the NC Brewers Cup for their Munich Dunkel – “I Think I Left My Shorts in Munich”. They also took home a Bronze for their Barrel Aged Imperial Milk Stout. Double Barley’s “Double Dubbel” Belgian Style Ale won Gold at the NC Brewers Cup and their “Touché” IPA won Silver at Summertime Brews. 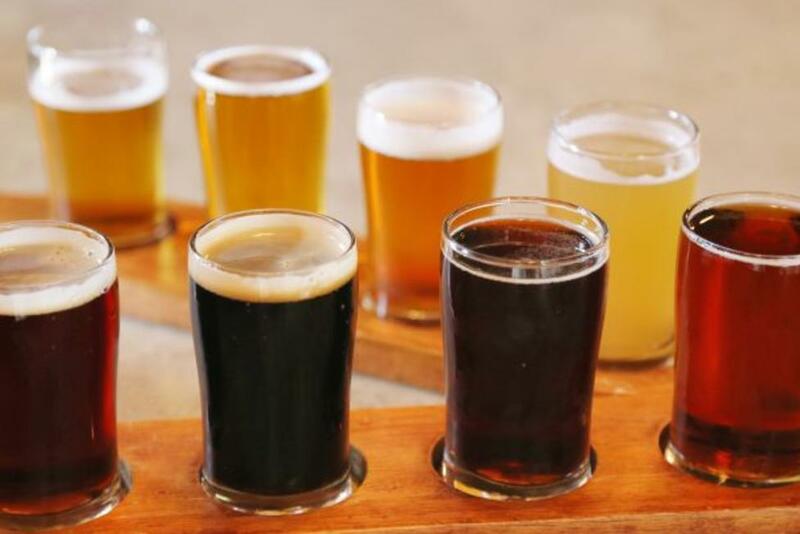 Johnston County is part of the Triangle beer scene and conveniently located just minutes from Raleigh, which makes it a perfect craft beer day trip destination. Visitors can also make a weekend out of their visit with the Sip & Stay package. It’s a wonderful weekend itinerary for couples, girlfriends, craft beer & wine enthusiasts and visitors that enjoy spirits and local foods. Included among the many deals in the package are coupons to Deep River Brewing Company and Double Barley Brewing. The package also includes a special offer room rate, as well as deals on area shopping, dining, and attractions. For more information go here.